The iCare 2 is a all-in-one kit with a cute and ultra-compact design. Intended for newcomers the kit has many qualities to catch the beginners who hesitate to purchase a voluminous kit. The kit is small and easy to use. Its size is 31mm*13mm*86mm, and its extreme compactness is probably the best asset of the iCare 2. With its battery of 650mAh and its 2ml tank, it is using resistance coils of 1.3 Ω. 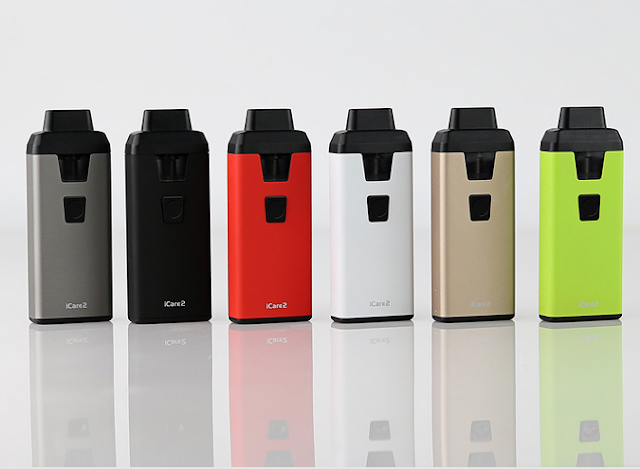 And Eleaf iCare 2 starter kit will provide you with a great MTL vaping with improved flavor. Filling is from the top by lifting the drip-tip and unscrewing the resistance. In general, the vape kit is innovative with its very compact format. All combines to provide a good feeling for beginners who will be delighted by large volumes of vapor. And its price is only $12.9.